The work is part of the series of Vol. 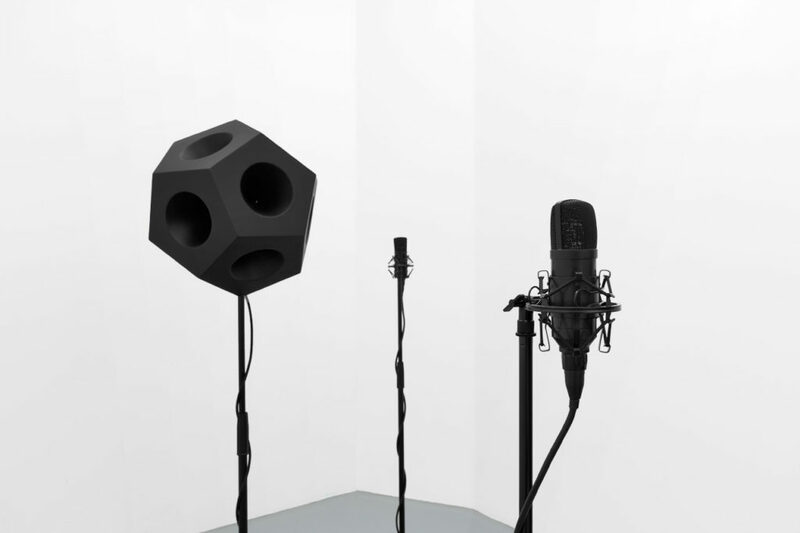 sound sculptures and installations, started in 2014. 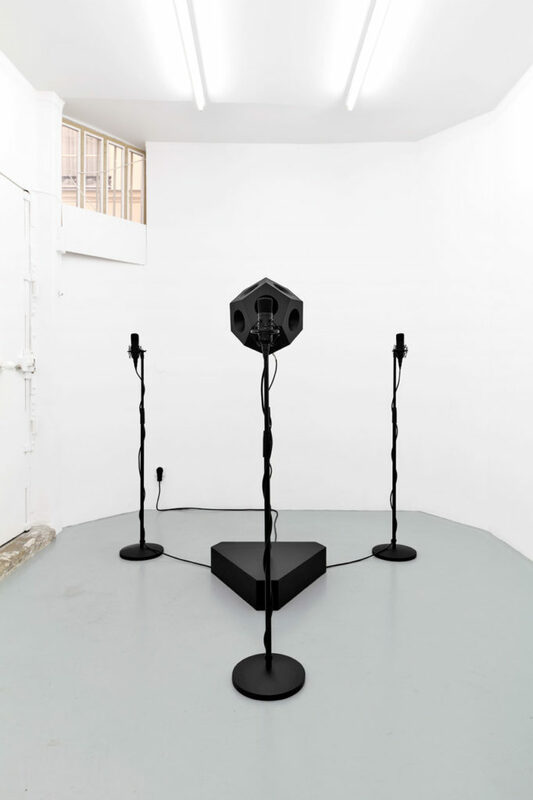 It is a system that analyzes the volumetric correlation between sound and architecture by reproducing the resonance frequencies of the room in which it is exhibited. 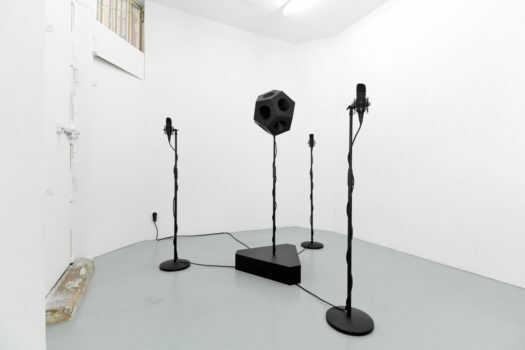 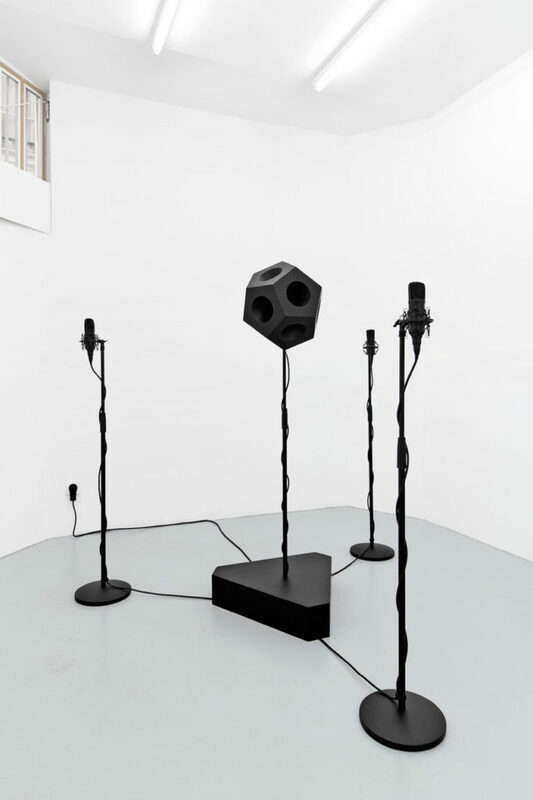 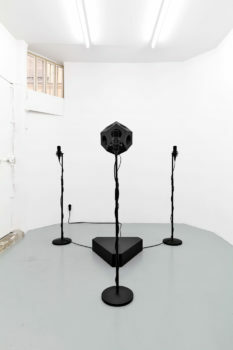 The dodecahedron loudspeaker plays the resonance frequencies obtained by layering recordings of the ambience silence in the room, while each microphone was modified to reproduce the sound of the resonance frequencies as signal responses of white, pink and brown noises in the room.